January 2019 — Periodic flagger-controlled lane closures and brief stoppages may be in place Mondays through Fridays between 9:00 AM and 3:00 PM through the end of the year on U.S. 322 (Conchester Highway) from U.S. 1 (Baltimore Pike) to just east of Clayton Park Drive in Concord Township, Delaware County, for construction on the $62.2 million project to improve and widen the highway. Motorists should anticipate delays on U.S. 322 (Conchester Highway), allow extra time for travel through the work areas, or use an alternate route. 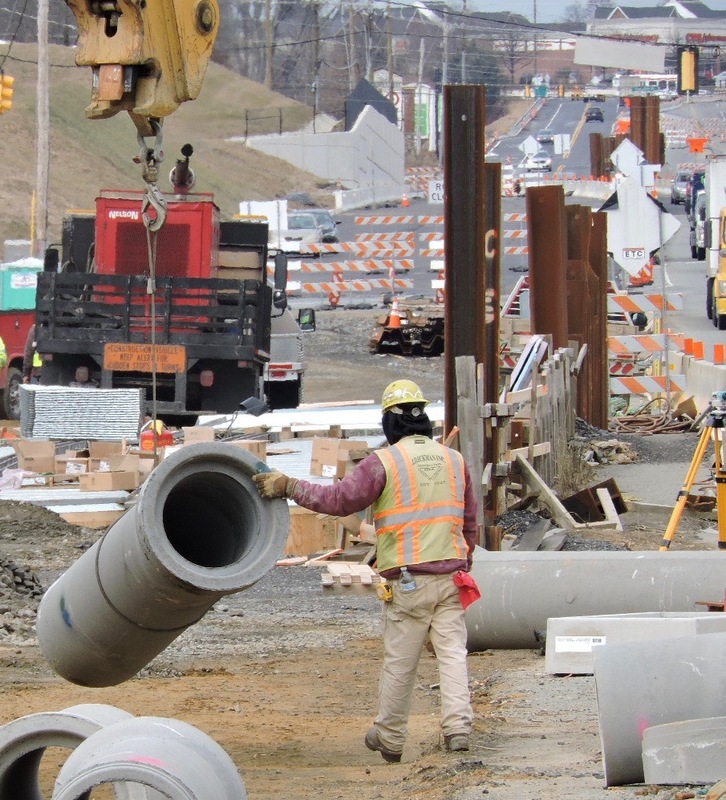 PennDOT began construction in spring 2017 on the first-of-two mainline projects to widen and reconstruct a 6.7-mile section of U.S. 322 (Conchester Highway) from U.S. 1 (Baltimore Pike) to just east of Route 452 (Market Street) in Concord, Bethel and Upper Chichester townships, Delaware County. Work on the first mainline section of U.S. 322 (Conchester Highway) is scheduled to be completed in late 2020. Go here for the latest Construction Update. Engineering design is advancing for the widening and reconstruction of the eastern section (Section 102) of the highway from just east of Clayton Park Drive to just east of Route 452 (Market Street). Construction on this section is expected to start in 2020. An additional contract to replace the U.S. 322 (Conchester Highway) bridge over the CSX railroad and Bethel Road as well as improvements to the adjacent Bethel Road Interchange is under design. For more information and to sign up for email alerts about the project, go to us322conchester.com.